2017 is Masaaki Yuasa's year. After releasing not one but two feature-length movies in Japanese cinemas, and touring festivals to wondrous acclaim from audiences and critics alike, his latest releases begin to roll out in the UK this week. Starting with Night is Short, Walk On Girl, adapted from Tomihiko Morimi's acclaimed novel of the same name and continuing in December with Lu Over the Wall, there was plenty to discuss when I interviewed him earlier this month. Check back in December for the final part of the interview and our review of Lu Over the Wall. AFA: So, two movies! Congratulations on both. They are both really fun and unique. How did TWO happen at once? I was making Lu and Walk On happened during that production. Actually, we wanted to make Walk On Girl way, way before but it came up, disappeared and came back again. So when that happened, I thought I don’t want to miss the opportunity again. Basically, though, one was made after the other. The animation team had to work a little harder [than usual], because the pre-production of one happened during post-production of another, but apart from that, the work was actually pretty standard. But I wanted to do it this way to keep the same team on both movies. That’s incredible. 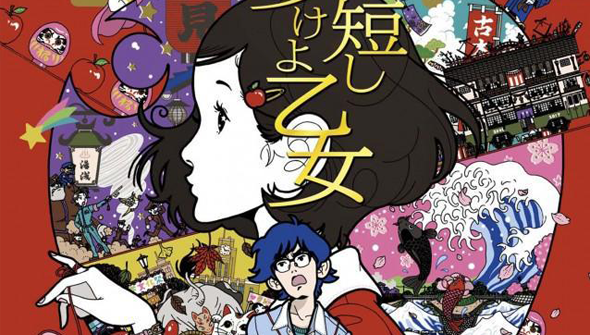 So did the same team who worked on Tatami Galaxy work on Walk On Girl? Yeah, originally when we were making TG, we planned the next one to be Walk On, but as I said, the project appeared and went away. On the DVD we made a little short implying the next would be Walk On, but it didn’t work out that way. Then it also almost went to someone else. I really wanted to do it though. Then during the production of Lu, I heard I was able to do it so I grabbed the opportunity. I can’t imagine anyone else making this film! So, it’s an adaptation again from Tomiko Morimi, whose work isn’t published in English, so your work is actually mine and many others only experience of Morimi’s novels. What’s the appeal of him for you?The most attractive element for me is, in fact, something you can’t actually express in animation, it’s the language itself, the writing. The characters actually talk in a very classic fashion, there’s no slang, but they behave like students. I liked that. So the same is true of Walk On, they are silly college students but they talk classically. In Tatami Galaxy, we used this a lot and added more dialogue than usual. However, for Walk On I wanted to make it feel like a proper movie, but since the original novel is quite fast, I wanted the audience to feel it nonetheless, like the sensation of reading the book at a fast pace. Yeah, I remember them talking very fast. 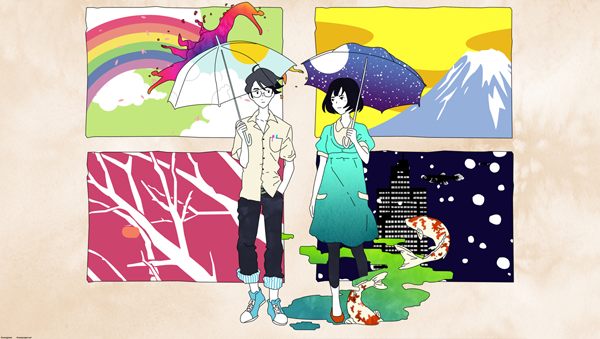 In particular, it was a challenge watching Tatami Galaxy subtitled and reading so fast. I loved the film, and I loved that the college kids are silly, and you don’t really judge their behaviour. Yeah, again I think that’s down to Morimi, and that’s one of the great things about his novels. It’s a comedy, it’s funny, but there is also deeper meaning, and people can identify with the characters as themselves from their own college days. Wonderful, I don't have much more to say really since it was so entertaining! I think it might be your funniest film, though. Do you think you’ll adapt a Morimi novel again? There's no proper plan yet, but if there’s an opportunity I'd love to do it. Actually, though, Tatami and Walk On are part of a trilogy of Morimi’s, so if the opportunity arose to do the next part I’d love to do it. Read my review for the film HERE. 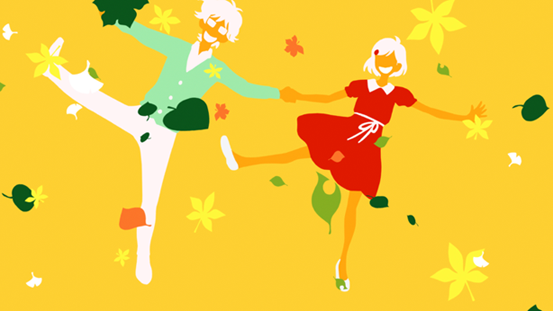 The Night is Short, Walk On Girl is in selected UK cinemas from October 4th, and plays on October 22nd at the Animation Is Film festival in the US. Thanks to Mr Yuasa and the good people at Fetch Publicity and Anime Limited for making this interview possible.